Original album + 14 bonuses. All tracks remastered. Tracks 1-4 recorded at Studio Dejvice 8.3.1967. Track 5 recorded at Studio Dejvice 24.5.1967. Track 6 recorded at Studio Dejvice 7.3.1967. Tracks 7-10 recorded at Studio Dejvice 25.5.1967. Tracks 11 recorded at Studio Dejvice 26.5.1967. 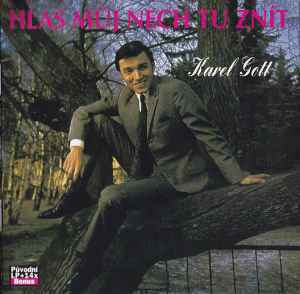 Track 12 recorded at Československá televize 1965. Track 13 recorded at Československý rozhlas 19.12.1966. Track 14 recorded at Studio Dejvice 17.5.1967. Track 15 recorded at Studio Dejvice 13.1..1967. Tracks 16-17 recorded at Studio Dejvice 22.2.1967. Track 18 recorded at Československý rozhlas 23.3.1966. Tracks 19-23 recorded at Československá televize 1967. Track 24-25 recorded at Československý Film 1967. Tracks 12-15, 18-25 are Mono.